If kids or pets are part of your family, laminate flooring is for you! 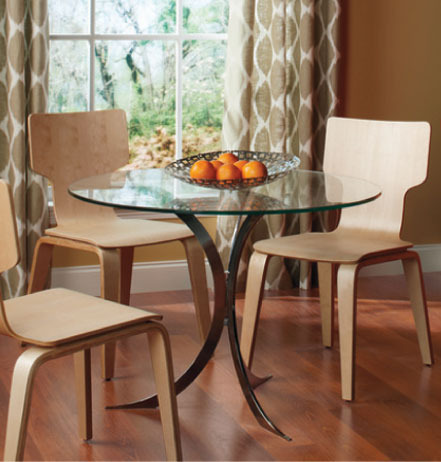 Blending excellent durability with high style, our favorite brands offer superior hardwood visuals, like textured, hand-scraped and authentic wood grain patterns. Or, for a warm, natural look choose a ceramic or stone visual. Our laminate flooring is engineered to withstand heavy traffic and resist scratching with durable wear layers. Stain resistant and very easy to maintain, just wipe up spills promptly and sweep or vacuum as needed. If yours is a do-it-yourself project, we have installation kits to make your job easier. We offer a wide range of accessories to complete your installation and we can advise you on underlayment and trim options. 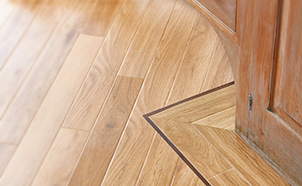 To keep that new floor looking great, we stock maintenance and cleaning products recommended for laminate flooring. Stone floors offer a comfortable, well worn look. 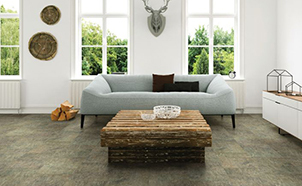 You can have the charm of stone with the benefits of easy to install and easy to maintain laminate flooring. These styles work with modern or traditional interiors. Stone visuals are a great choice for a kitchen or entry. Laminate flooring offers the texture and beauty of a wood floor with excellent scratch resistance, superior stain resistance and amazing impact resistance. All the features of a wood floor with none of the drawbacks. The hardest part of buying that new floor will be picking just one of all of the gorgeous wood styles there are to choose from. Tile looks add a clean and simple elegance to your decor. From large format tile looks to the hot new rectangular tile shapes, laminate is on the cutting edge of fashion for your home. These floors look so realistic, even the grout lines look like the real thing. 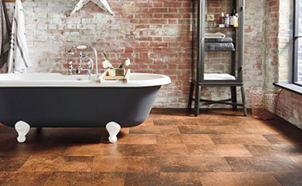 Beautiful, durable and easy to care for... laminate flooring has it all.